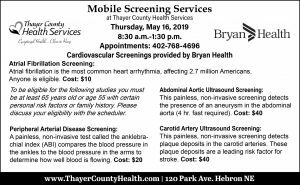 For more than 65 years, Thayer County Health Services has been supported by an extremely active and dedicated group of people. This group of over 500 members represents every town in the county, carries on a long tradition of caring and volunteerism. Who are these folks? The Hospital Guild for Thayer County Health Services of course. Today the Guild continued their commitment to the health and wellness of Thayer County by donating over $20,000 for equipment, supplies and other material each year to the hospital and clinics. The donations range from simple items such as Obstetrical training manuals to modern equipment to improve the care of our patients. How does the Guild do such a fantastic job of fundraising and support? Apart from the superb talents of many many dedicated people, the Guild also runs a shop in Hebron called “Things and Stuff”. With the proceeds of the shop and through other activities, the Guild has been able to provide thousands of dollars of support to the hospital and clinics over the years – ultimately benefiting the patients and citizens of all of our communities. 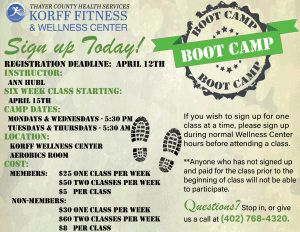 Local Service by Local people…. Every employee, in every department, as well as every patient of TCHS has benefited from the hard work and efforts of the Guild. 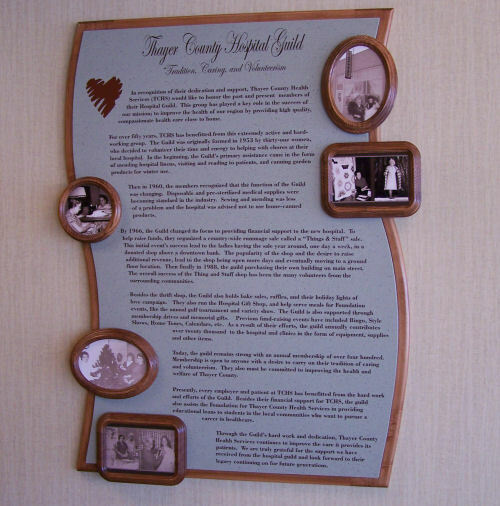 The Guild was formed in 1953 to support the hospital with the extra work that needed to be done. This work included mending hospital linens, (75 towels were hemmed the first year), visiting and reading to patients, and canning garden products for winter use (258 quarts of vegetables). In 1960, members recognized that the function of the Guild was changing. Disposable and pre-sterilized medical supplies were becoming standard in the industry. Sewing and mending were less of a problem and the hospital was advised not to use home-canned products. By 1967, the Guild changed its focus to the financial support of the new hospital. The Guild held a county-wide rummage sale called a “Things & Stuff” sale. This sale continued in a donated shop above the bank one day a week. 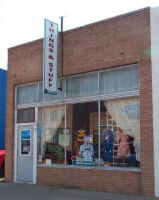 In 1988, the Guild purchased a ground level shop on Lincoln Avenue in Hebron. The shop, “Things & Stuff”, is open four days a week – Wednesday thru Friday 9-4 and Saturday 9-12. 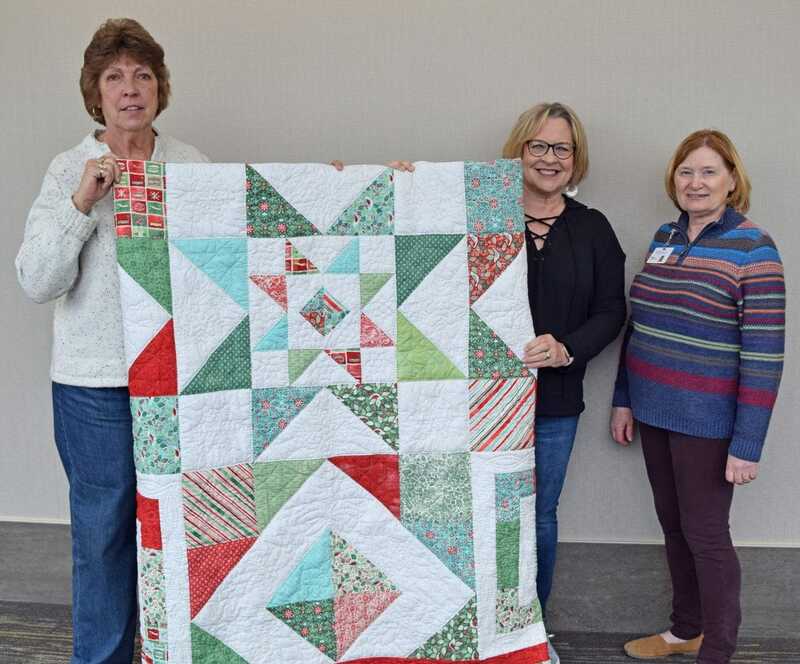 The Guild also holds bake sales, raffles (dolls, quilts), “Lights of Love” holiday campaign, and helps serve meals for Foundation projects like the annual golf tournament, and the variety show. The Guild is also supported through membership drives and memorials. Previous fundraising events have included Bingo, Style Shows, Home Tours, Calendars, etc. 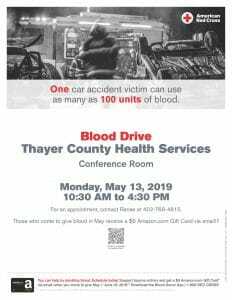 In addition to their fundraising activities, the Guild also volunteers at Thayer County Health Services sponsored events; Blood drives, Reduced Priced Lab events, Mass flu clinics and Women’s Health Night. 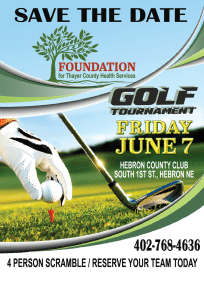 If you would like to become a volunteer at on of these events contact Kris Miesner the projects committee chairperson at 402-200-8461.